Following off my previous blog on wasted water and plastic bottles, I decided to dedicate this blog to discussing an alternative to plastic disposable water bottles: water filter pitchers. Most people who purchase disposable water bottles do so because they perceive it to be cleaner and safer than tap water. This, however, is not the case. While public water is monitored and regulated by the EPA (Environmental Protection Agency), bottled water is regulated by the FDA (Food and Drug Association). The EPA requires multiple daily tests for bacteria and makes results available to the public. Meanwhile, the FDA treats bottled water as a food or unit of consumption and only requires weekly testing and does not share its findings with the EPA or the public (Ban the Bottle). Furthermore, according to a 1999 study conducted by the nonprofit Natural Resources Defense Council (NRDC), out of 1,000 bottled water samples from 103 brands tested, one-third contained contaminants that exceeded FDA-mandated levels (Green America). What is even more surprising is that the NRDC found that one-fourth of bottled water is actually just tap water, with or without extra filtration, labeled “from a municipal source” (Green America). The majority of bottled water is no cleaner, let alone different than municipal tap water. Keeping this in mind, filtered tap water is an appropriate and effective alternative to bottled tap water. If every family in the US purchased one water filter pitcher, an enormous amount of water bottles and therefore water could be saved. To calculate the exact increments of potential water and water bottle reduction, I had to figure out how many filters would be used if every US family bought one, and how much water could be saved cumulatively from sed filters. The same Ban the Bottle website cited above also stated that one water filter can replace as much as 300 standard 16.9-ounce bottles (Ban the Bottle). Referring back to my previous blog, it takes 3 liters of water to produce one 1 liter bottle, meaning that 2 liters of water are wasted for every 1 liter of water produced. That means that with the 38,000,000,000 bottles of water replaced by filters, 76,000,000,000 liters of water would be saved. This is an extremely high number for just one country, and given the lack of clean water worldwide and the need for water efficiency, the transition from bottled water to filtered tap water could make a big impact. Although not all US families can afford water filter pitchers, they are a lot more affordable in the long term than disposable plastic water bottles. Furthermore, if even half the US families bought and used 1 water filter, 19,200,000,000 plastic water bottles could be replaced and 57,600,000,000 liters could be saved. Of course this is in the most ideal situation, however filters are a way more efficient use of water than plastic bottles. This entry was posted in Uncategorized on April 9, 2015 by seb5741. Oh my God….. I never knew that “he EPA requires multiple daily tests for bacteria and makes results available to the public. Meanwhile, the FDA treats bottled water as a food or unit of consumption and only requires weekly testing and does not share its findings with the EPA or the public.” I drink bottled water literally everyday. After reading this post I am definitely going to make the switch. 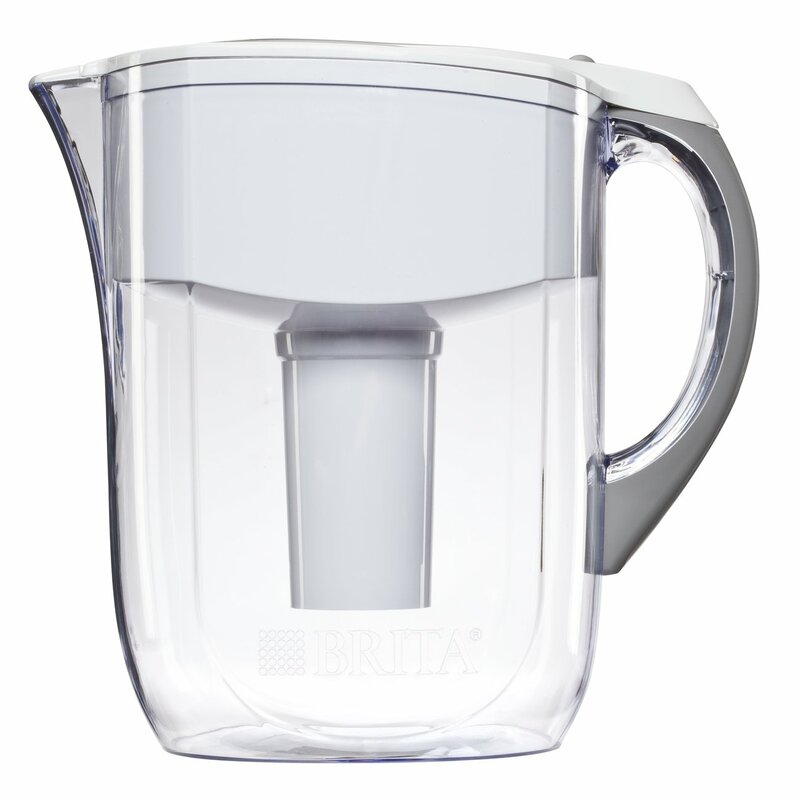 I have a Brita water pitcher, and I am looking into buying a countertop reverse osmosis system. The Brita does not purify water as well as the ROS, but it is definitely a great compromise and pretty sufficient for college students on a budget. The filters have to be replaced every couple months, so that’s another cost you have to factor in. Even then, it is still far more cost effective to use the Brita than buy bottled water. I had never seen a water filtering pitcher until I got to college and let me tell you in comes in handy. I don’t have to buy and lug around a case of water, or cause a huge negative environmental impact in the process. Although, I do know that the filters have to be replaced about every month and they are made of a thick plastic. I wonder if the permanent fixtures that attach to the faucet would reduce any plastic waste impact. The only problem with that would be the price of the fixture. Great work! I really enjoyed this post. I agree with Dr. Roe that discussing the plastic that goes into water filters is worth considering to make a fair comparison. Also, I wanted to suggest a potential future post. Do we even need at-home water filtration? As you state in your post, some bottled water is just tap water unfiltered. Does every household need a water filter? What does a water filter actually filter out? Interesting post. Bearing in mind some of the things we have said about the importance of comparisons, here are some other pieces of information that might help the reader grasp the scale of the issue you’ve identified: How does the figure you quote at the end (76 billion liters) relate to total US domestic water consumption? Also, since you are taking into account the amount of water used to produce a plastic bottle, for an “apples to apples” comparison you could also ask: how much water does it take to produce a water filter? What Can Save the Rainforest? Is the Growth of Renewable Energy Fast Enough?